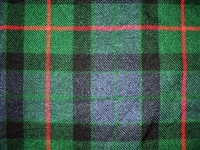 Our better quality traditional acrylic kilts are a step up from economy kilts. The pleats are sewn down 8 inches with a depth of 2 inches. These kilts are fully lined and have 3 buckles. Didn't see what you are looking for? No problem! Delivery on special orders is a minimum of 10 weeks. Didn't see what you are looking for? No problem! Special order the kilt you want. Delivery is a minimum of 10 weeks. 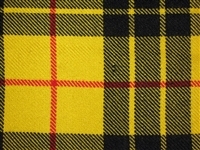 Our better quality traditional acrylic kilts are made from a higher grade fabric.